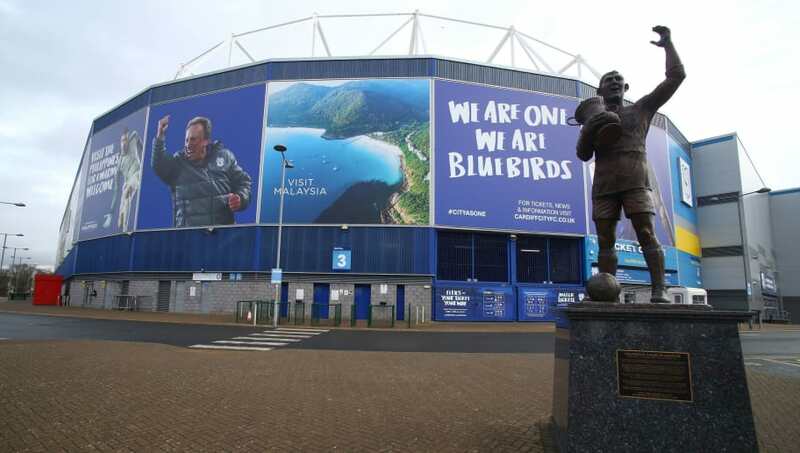 ​Cardiff City executive director and CEO Ken Choo has released an statement on the club's website, addressing the situation surrounding the club's record signing Emiliano Sala. The Argentine was on a light aircraft from Nantes to Cardiff which disappeared from radar screens on Monday night, and has not reappeared. The statement read: "We were very shocked upon hearing the news that the plane had gone missing. We expected Emiliano to arrive last night into ​Cardiff and today was due to be his first day with the team. "Our owner, Tan Sri Vincent Tan, and chairman, Mehmet Dalman, are all very distressed about the situation. We made the decision first thing this morning to call off training with the thoughts of the squad, management staff and the entire Club with Emiliano and the pilot. "All of us at Cardiff City FC would like to thank our fans, and the entire footballing family for their support at this difficult time. We continue to pray for positive news. Cardiff City Football Club will make a further statement as more information becomes available." He also told the media on Tuesday afternoon: "We haven't even thought about [postponing matches] at this point in time. The most important thing is to make sure today that the staff is okay. Everyone is having an emotional crisis to hear this news, so we have to pull everyone together and keep them supported." Weather may have played a part in the possible downing of the aircraft, with the pilot requesting to descend from 5,000ft to a lower altitude - the plane at just over 2,000ft when it vanished from radars.